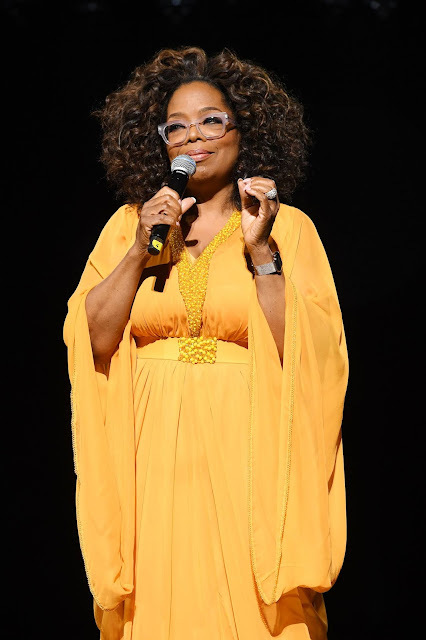 Popular celebrity designer Gert-Johan Coetzee added an important global feather to his cap when Oprah Winfrey appeared on stage at the Global Citizen Festival on Sunday in a flowing sun-yellow silk kaftan he had created for her. Winfrey addressed the crowd at FNB Stadium about the meaning of being a global citizen, and mentioned the importance of community, of reaching out and making others feel cherished and less alone. The festival brought a stellar cast of global A-list performers to Johannesburg, South Africa, to celebrate what would have been Nelson Mandela’s 100th birthday. “I always thought it was because Madiba was a citizen of the world, that he really got to see how the power of one leads to the empowerment of many,” Winfrey said. The beloved talk-show host had visited Coetzee’s studio earlier in the week, and had charmed the designer and his team with her humour, grace and kindness. “It was such an honour to receive her, and to be given the opportunity to custom-make something really beautiful for her to wear,” says Coetzee. The kaftan was constructed from draped silk in a rich yellow, with a waistband decorated in traditional African hand-beading and Swarovski crystals.